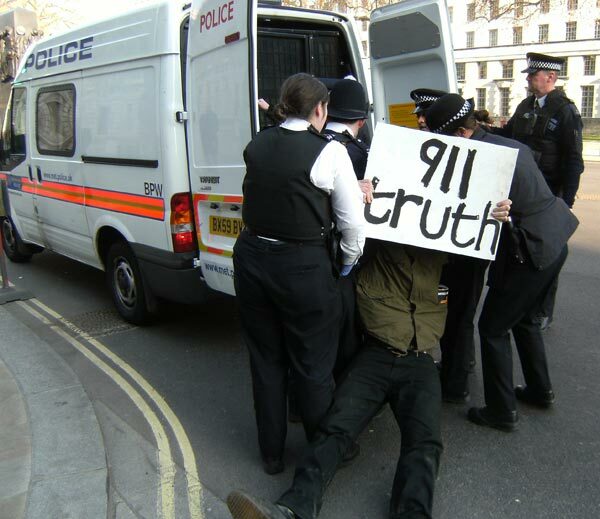 9/11 Truth News: Why is 9/11 worth going to jail for? 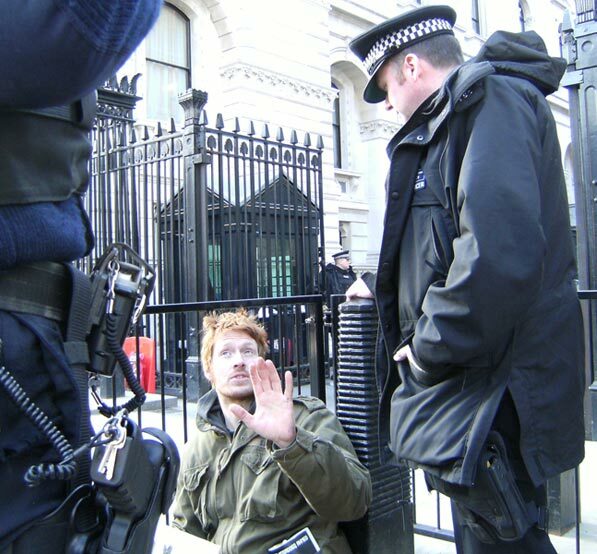 Gareth Newnham: As a result of Monday’s action many of the Downing Street and Ministry of Defence security detail got to find out there was guy with a ‘911 Truth’ sign refusing to go away who had to be carried off by police officers. That starts off all kinds of conversational chain reactions. So in that respect it was worth it. A friend said to me once that the only rightful place for a peaceful person to be during times of war is in prison. I think it’s a really interesting statement and one I believe to be true. If every person of conscience, every person claiming to be against the war performed non-violent civil disobedience of this kind, the state could no longer claim to be legitimately democratic. It’s certainly a tactic that I intend to repeat and I hope others explore for themselves. It is also worth mentioning a UK act of Parliament called the Serious Organised Crime and Police Act 2005. This legislation, similar in tone to the US Patriot Act, not only grants the police unprecedented powers to search and arrest people but certain sections of the act ban all unauthorised protests within 1 kilometre of Parliament unless written permission is requested from the police 6 days in advance. Even if authorisation is obtained the police are allowed to impose conditions on a protest – and in the case of Downing Street all protests have effectively been banned. Instead they allow protestors to stand in fenced box over 30 metres away across the road, where you can’t be seen. Unjust laws are one of the consequences of the Post-9/11 world. Brutal wars, torture, demonisation of muslim and non-white communities are some of the other undesirable social, political and cultural injustices and there are many, many more. All are excellent reasons for civil disobedience. 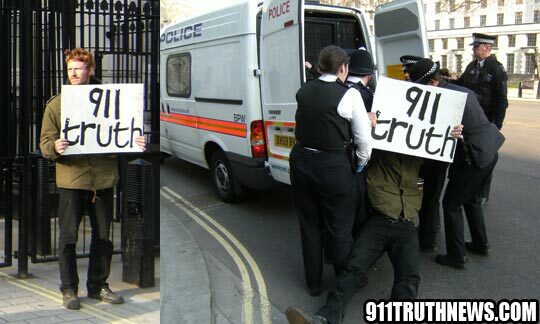 911TN: At what level do you find the receptivity to this topic within the anti-war movement in England? Is there the same sort of disconnect that we’ve seen in the USA, where people don’t seem to quite grasp the relevance of the legitimacy of the 9/11 story (or lack of it) to the prosecution of what we’ve been promised is an endless war? Gareth Newnham: The receptivity in the UK is poor, no doubt about that. I have spoken privately to representatives of the largest UK anti-war organisation – the Stop the War Coalition – and although many of them have expressed doubts about the official story, I strongly suspect the reason they don’t speak publicly about them has to do with the ‘third rail’ recently written about by Jon Gold. Defined by Wikipedia as “a metaphor in politics to denote an idea or topic that is so ‘charged’ and’untouchable’ that any politician or public official who dares to broach the subject would invariably suffer politically.” I think that sadly with the subject of 9/11 a similar fear is a major contributing factor to the deafening silence from the leading figures of the anti-war movement. Despite the fact there is more than enough compelling evidence proving high level US complicity in 9/11, no one wants to be labelled a ‘conspiracy theorist’ – as nonsensical as this ad hominem term is it has a very powerful effect on people. I don’t really want to speculate beyond that but I think we should be aware that the military industrial complex are fully cognisant of the effect organised and popular resistance has on the war machine and therefore are likely to have attributed resources to limiting these efforts. We know from historical examples like the FBI COINTELPRO program in the Sixties that it happens. What I find disappointing among the anti-war movement – regardless of the inability to connect the evidence of a staged pretext to legitimise the war and create public support for it – is the complete silence in respect of tax strikes, another form of civil disobedience. If a fraction of the millions who marched in London in 2003 knew that it was a viable strategy, and pro-peace organisations offered support and guidance then it would certainly go some way to bringing these wars that we are directly funding to a peaceful end. 911TN: What is one of the biggest challenges you’ve faced in trying to educate others about the 9/11 topic and how have you sought to overcome that challenge? Gareth Newnham: The effect finding out about 9/11 had on my relationships with my friends and family was definitely a challenge. Initially I found talking about the issue a demoralising and mostly unsuccessful venture. Their rejection of the information hit me pretty hard but I knew I lacked a strong grasp of the subject matter. I undertook 3 months intensive study. It sounds so odd thinking about it now but it was only after the studying, upon venturing out to a 911 meeting in London, that I first met others that had come into the same information. That was just under 5 years ago. Now so many more people seem to be acquainted with the facts and the movement has evolved considerably. I guess the lesson I learned with my friends and family is that you can only do your best, give them d.v.ds, books, recommend the best websites etc and give them space and time to digest the information. Ultimately it’s their choice if they want to engage with the subject or not. Something else I have found far less challenging but significant enough to mention is being a target of crude and unsubstantiated attacks. It seems that if you demonstrate a commitment to responsible promotion of the message, attempts will be made to discredit you and your work. But I take comfort from the fact that I’m by no means alone and that similar attacks are occurring again and again to people who have a long history of successful campaigning. I have come to accept that it’s just part of the terrain. If anything it’s a sign that you must be doing something right. 911TN: You’re not just a 9/11 justice activist. What are some of the other causes you work on and how does it fit in with 9/11? Gareth Newnham: I was involved with the ‘Kew Bridge Eco Village’ – an experiment in sustainable community living and permaculture farming methods that existed from June 2009 until May the following year. Its original intention was to highlight the inequalities inherent in Britain’s land rights and provide a response to the converging economic, energy and ecological crises, inspiring real debate on real solutions. To a large extent it was very successful. Around 30-40 people of all ages and backgrounds were able to co-exist in relative harmony. We got a tremendous amount of mainstream media coverage, most of it fair and supportive. We took our inspiration from the Native Americans and individuals like Gerard Winstanley who in the mid 1600′s, with fourteen other men took over and farmed vacant and common lands in England, producing food that was distributed evenly among those who participated and other needy peoples. Winstanley believed that the earth and its fruits were “a common treasury for all”. Further writings he distributed in the form of pamphlets expressed a worldview that envisioned a symbiotic relationship between humans and nature, acknowledging the inherent connections between people and their surroundings. He once declared that “true freedom lies where a man receives his nourishment and preservation, and that is in the use of the earth”. Similar writings and practices appear throughout history in indigenous communities predating western culture. We found that what we were trying to achieve with the Kew Bridge Eco Village became contagious and other projects sprung up locally and in other parts of the UK. Towards the end we made significant steps in being completely self-sufficient but due to planning permission being granted for luxury apartments we were forcefully evicted from the land. Some of us then decided to take our message to the centre of the political establishment in the UK, setting up a ‘Democracy Village’ in Parliament Square opposite the Houses of Parliament. Similar in ethos to the Kew Project we focused our attention on campaigning for an end to the war in Afghanistan. The result was a blitz of peaceful direct actions. Buildings were scaled (including our Houses of Parliament, twice!) and banners were hung. The actions took place throughout the area until, three months after it began, a High Court injunction was approved and we were again forcibly removed from the land. Currently I’m involved in the early stages of a Transition Town project in my local area. I think the link between these actions and 9/11 stem from a belief that war and international terrorism exist because of an over-reliance on fossils fuels. These fossil fuels appear to not only be running out but their use is having an alarming effect on our planet, potentially making it uninhabitable in the long-term. The academic Nafeez Ahmed has made substantial efforts to understand these issues in his recent book A Users Guide to the Crisis of Civilisation: And How to Save it. In it he draws upon a wealth of scientific data to point out that these major crises affecting our planet are symptoms of one single ailing global system. I’m recommending it to everyone, not because my friend Dean Puckett is making a film inspired by the book, but because the information within it is genuinely important. Our way of life is unsustainable. It doesn’t need to be. 911TN: What have you found to be the most effective method of educating others about 9/11? Gareth Newnham: Generally I find people are receptive to the story of the victims’ families – The Jersey Girls, Bob Mcllvaine – and documented in the film 9/11: Press For Truth. The nature of their extraordinary fight to get an investigation to find out what happened to their loved ones is remarkably powerful and one which seems to make the subject matter more accessible and palatable for newcomers. 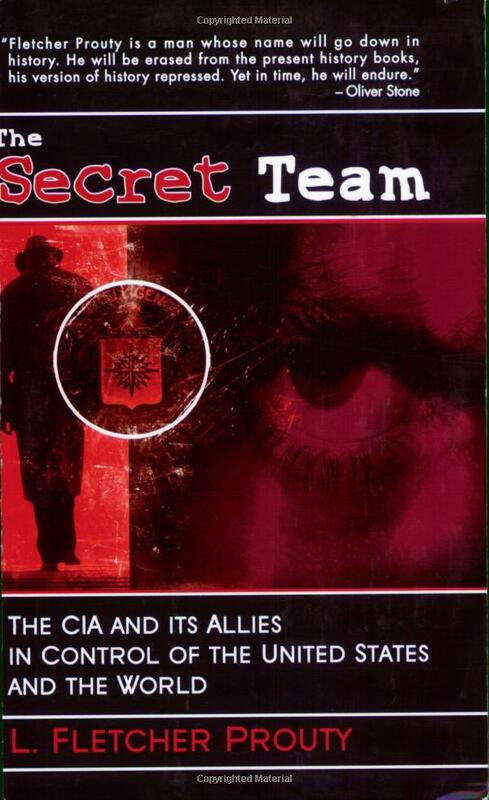 The works of Peter Dale Scott and Nafeez Ahmed are hugely useful in the detailing of the deeper historical and geopolitical context of 9/11. Their work seems to bring a very real understanding of not only how 9/11 happened but why. The documentation supporting Anglo-American covert links to Al Qaeda as an actual asset furthering specific economic and strategic interests is pretty damning. There is just no room for dispute with that sort of information. 911TN: Where do we go from here? Gareth Newnham: More outreach. More civil disobedience. More commitment to promoting responsible information. More alliances. More recognition of why 9/11 happened. It’s time for the world to find out that the 9/11 Truth movement not only wants peace but is capable of helping achieve it.